Dacorum Mela 2010 took place on a beautiful sunny day – Saturday 10th July at the Market Square, was a successful event where different communities from across the borough came through together to enjoy a festival of traditional music, food, dance and entertainment. 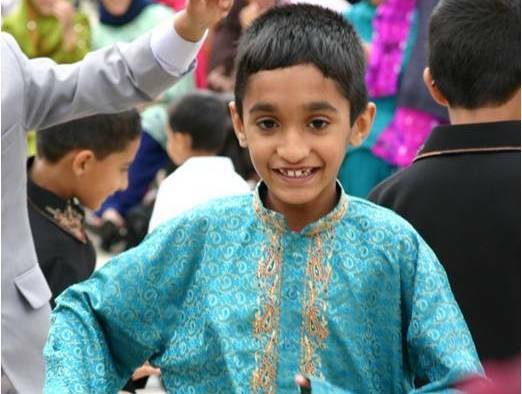 The Mela, (a Sanskrit word meaning ‘gathering’ or ‘festival’) was organised by the Global Pindd Community Group and the Council, which celebrates Dacorum’s diversity and community spirit. The day was scorching at 30C, and it didn’t deter residents, staff and people from community/ voluntary sector including the special guests: Sabina Iqbal, Chair/Founder of Deaf Parenting UK; Mike Penning, MP & Deaf Parenting UK Ambassador; and The Mayor of Dacorum Councillor Roger M. Taylor from enjoying the Mela. Community groups from around the borough showcased their heritage and traditions through dance and music at the family festival and even some of the audiences including children joined in and had lots of fun. Sabina Iqbal, the first Deaf Asian woman ever at the Mela, launched the Council’s Communities Together Pledge and gave speech in British Sign Language (BSL) and voice-over via BSL interpreter, explaining about the Pledge. The Pledge sets out a vision of how Dacorum’s communities can all live and work happily together. It brings together the thoughts of local residents, community and voluntary organisations and councillors. In her speech, Sabina Iqbal, Chair/Founder of Deaf Parenting UK, said: “I am proud to be here for Communities Together at the Dacorum Mela 2010 with the Mayor of Dacorum and Mike Peninng MP, who is also one of the ambassadors for Deaf Parenting UK. May I say that being an Asian Deaf woman, I am delighted to see all the communities coming together from different cultures and faiths so thank you to everyone who helped to make this happen. Today is a great opportunity for all residents to experience a taste of the diversity we have in Dacorum. We are also pleased to be launching the Communities Together Pledge which was developed by residents, councilors and representatives from the voluntary and community sector. This is part of a wider Neighbourhood Action initiative which has been consulting with communities and groups all over the borough to find out, by working together, how we can improve the area for the benefit of everyone. After her speech, Sabina then rallied everyone including children in the Market Square who were given a balloon each and at the countdown from 5 to 0 to release the balloons to signify their support to the Communities Together Pledge and it was fantastic to see so many balloons flying up in the sky.